A two week programme of free skin care, hair and make-up workshops, image consultancy and fun! Please ask your G.P, Clinical Nurse Specialist or Practice staff for further information leading to a referral. Leaflets are available. attend the Look Good...Feel Better sessions. The ladies were trained by the complementary therapist from Hospice Julie Watt and received a certificate at the end of their 4 hour training session. 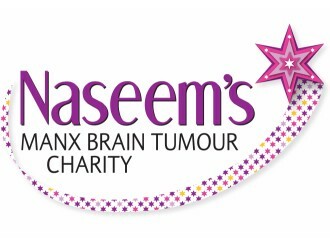 The products were provided by Naseem’s Manx Brain Tumour charity. 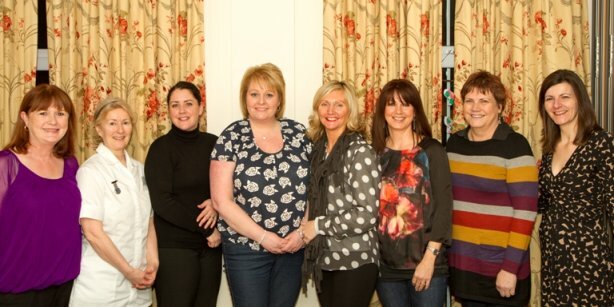 Left to right are: Gerry Pishvaie from Naseem’s Manx Brain Tumour charity, Julie Watt (trainer) Tamara Headon, Carol Dean, Beverley Loughran, Lora Meechin, Shirley Strathdeeand Wendy Smith, Scholl Centre manager. Two other ladies attended the training but were unavailable for the photograph are Janece Pugh and Kathy Treder.